My First 5K Race Of The Year! I ran my first 5K race of 2014 this weekend, and I did surprisingly good. Without barely any training I ran a 21:50, for a 7:01 pace. I ran really hard this year up until Thanksgiving, and since then I’ve only been running for maintenance. My goal for this year is to go under 20 minutes for a 5K. I haven’t run that fast since I was in College, and last year I got down to about 20:20. If I can get into a good training rhythm it should be pretty easy. BTW, if anyone has any good race suggestions I am all ears. I am always looking for new, interesting, races, but it has to 10K and under. Just returned from Dublin, Ireland! I just got back from a trip to Dublin, Ireland for St Patrick’s day. It was by far one of the greatest vacations I have ever been on. Ireland is a beautiful country, and the people are extremely friendly. I went to St Patrick’s cathedral, Dublin Castle, Trinity College, and we took a day trip to Killkenny. I am slowly getting back in my work out routine, and I started running again outside although it has been freezing out in NYC. 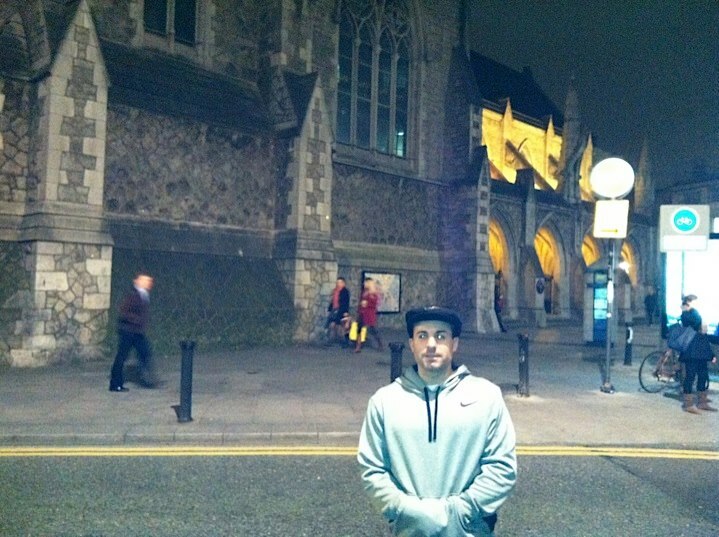 Here I am outside of Dublin Castle!